The script moves vertex from one object1 to object2. 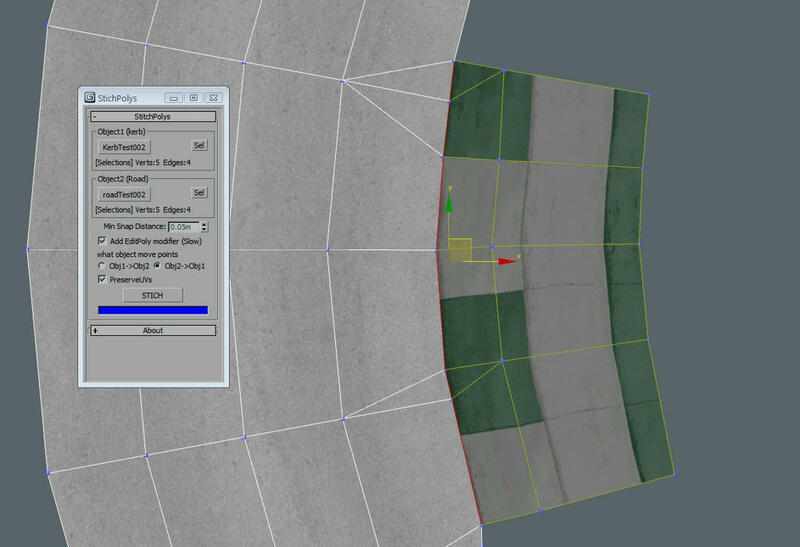 If is outside of Minimum Snap Distance creates vertex when needed (MAX cut operation). [ < Pick Object 1 > ]: Pick the object 1. – The Objecet must be a Editabled Poly with no EditPolys modifiers. – The Object must have edge or vertex selections. Min Snap Distance: Minimum distance to move vertex (Snap). If is out of distance makes a cut. Add EditPoly modifier: Add a Edit Poly modifier for changes. This slow the operarion but it is safe way to keep the original mesh. () Obj1->Objs2: Move vertex from Object1 to Obect2. () Obj2->Objs1: Move vertex from Object2 to Obect1. PreserveUVs: Preserve UVs when move vertex. Only works when Add EditPoly modifier.